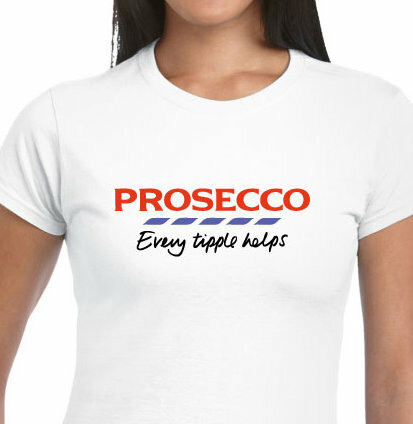 Prosecco Sparkling Wine T-shirt - Every Tipple Helps! White quality cotton t-shirt with glitter or flock vinyl unique design: Prosecco - Every Tipple Counts: perfect as a gift for hen parties, birthdays, christmas - add it to the Prosecco gift bag with a bottle (see our other listing) - or treat yourself! Choose from Velvety Flock or Glitter Vinyl design professionally heat pressed - all extremely durable. Please check Size Chart Image for actual women's t-shirt measurements. Wash and tumble dry inside out on a low/medium setting. Gently iron on reverse (do not iron design). Care Tag attached for your information and T-shirt wrapped in tissue with care.